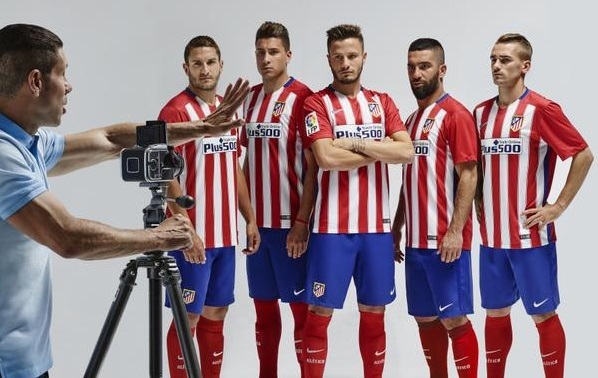 Nike will be the kit suppliers and Atletico has struck a shirt sponsorship deal with “plus500” for next season as their current shirt sponsor “Azerbijan” did not renew their deal. The new home kit comes in traditional vertical stripe design with red and white colour combination and the blue application on collar and around the sleeves. The collar of the kit is v-shapped in white colour and with blue design at the back of the collar. 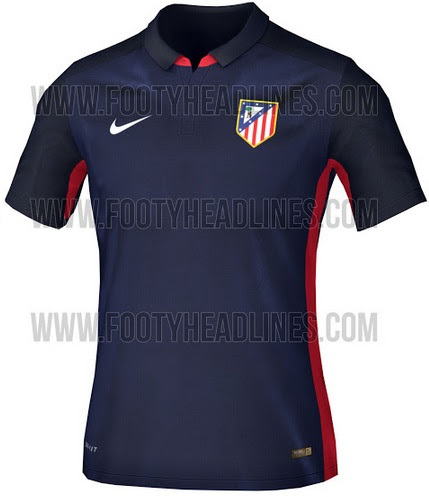 There is not much new stuff it is a traditional but modern style kit for Atletico. Blue shots and red socks will complete the kit. The home kit is expected to be released somewhere in June 2015. The away kit is likely to be dark blue and white application and will feature an all new unique design for the 2015-16 season. 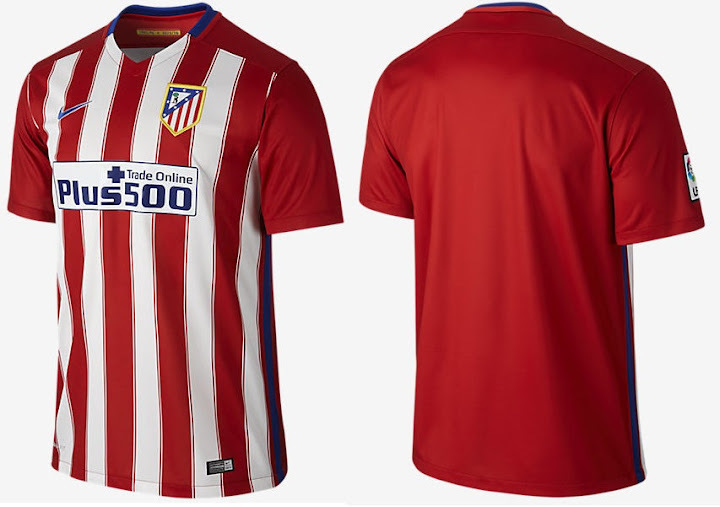 Both home and away kits are expected to be officially released in june 2015.
it looks a lot like Melbourne Hearts & stoke. sorry I think its Illegal to copy teams.